If you live in Sydney and don't know about Workshopped, you should. 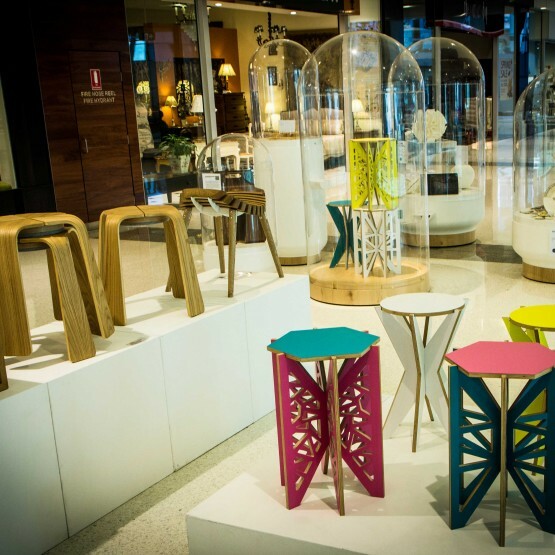 It is the single largest event on the Australian Product Design calendar, and in its 13-year history has exhibited the innovative work of over 200 designers. Last night, over 800 people attended the Supa Centa, Moore Park, Sydney, for the opening night launch of WORSHOPPED 13. The theme this year asks designers to consider what makes a modern classic with the question: How can design be future-proofed for a disposable society? WORKSHOPPED 13 runs for 10 days and is free to the public. It is supported by the Powerhouse Museum as part of Sydney Design 2013 and design trade event, Sydney Indesign, both on now.